Q: How much detail should I include in my LinkedIn profile? Should I copy and paste my resume, or provide shorter descriptions? 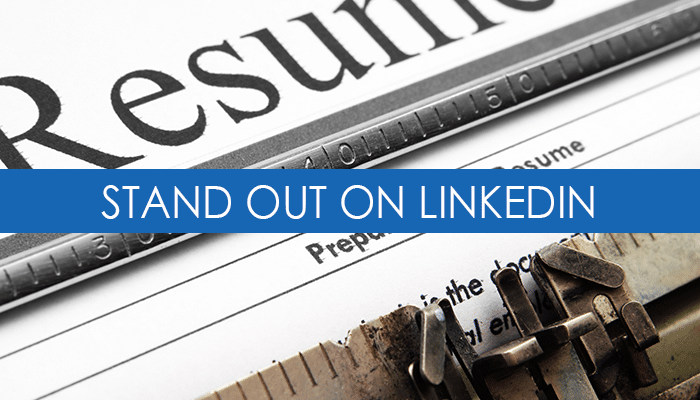 People scan your LinkedIn profile just as (if not more) quickly as they do a resume. Lengthy descriptions will be difficult to read, particularly if a user is on a mobile or tablet device. Your formatting options are limited on LinkedIn’s platform. There is no use of italics, bold or underline, and no additional colors to separate sections the same way you might on a resume/Word document. What looks good on a resume may not display well on a profile. Recruiters use LinkedIn for multiple reasons: to source potential candidates, and also to cross-reference the profile with the resume of a candidate already in consideration. Assume hiring managers are viewing your profile well after the interview, and that the message is consistent. Your profile (if public) is visible to a much broader audience than your resume. Unless you opt to block specific individuals or make your profile private (non-visible), you cannot hide your profile from specific audiences – such as your coworkers or supervisors. The best approach to creating a strong profile is to think about who will be reading it, what they will be looking for, and what kind of message you want to get across to them. Think of your profile not as a duplication of your resume, but as your online business card. The profile should provide a concise and impactful overview of your background that piques the interest of hiring managers and entices them to start a conversation. This conversation can lead to the resume and a more detailed (targeted) discussion around your relevant skills, experience, and accomplishments. A professional-looking photograph. A formal headshot isn’t necessary, but do aim for a straight-on shot that clearly shows your face. An accurate and descriptive headline that speaks either to your current position (if you’re passively or not publicly looking), or the type of role you’re targeting. A brief bio (1-3 paragraphs) in the Summary section. Concise job descriptions for each of your roles (1-2 paragraphs), possibly with a few supporting points around your key contributions. Outline of your Education and Training (degrees, courses, certifications, etc.). Additional information allowed by LinkedIn – such as Publications, Patents, Presentations, and other Projects. Your LinkedIn profile is the cornerstone of your digital brand presence and builds visibility among recruiters, peers, and potential employers. Aim for thoughtful, concise content that summarizes your experience level, qualifications, and skill sets, while keeping in mind the broad range of potential contacts you are reaching. Final Tip: Customize your Profile URL for a professional touch, and include a link on your resume, cover letter, or website. Tags: LinkedIn, resume. Bookmark the permalink.